The quest for the best backpack for laptop users can be a difficult journey and can be confusing. That is why it is always wiser to start with the latest backpack reviews to ensure that you are looking at the best and state-of-the-art option for what you need. First thing first, you should take into consideration the size of your laptop. You then have to consider all the other accessories that you want to carry with you and the amount of time you will be traveling with the laptop backpack. 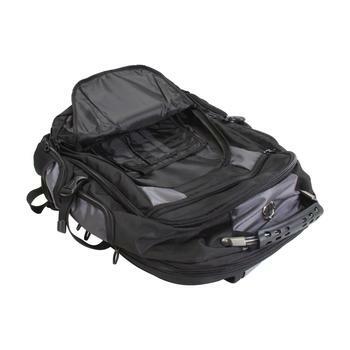 You should also consider how often you will be using it and should consider your height as well as your weight when you are determining whether you want to buy a laptop backpack or not. 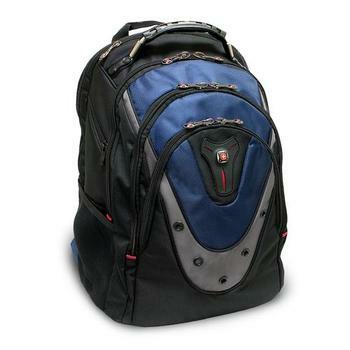 Other things to consider when looking at a laptop backpack is the quality of materials that it is made out of. When compared against the laptop backpack elites like Brenthaven and Pelican U100, Rosewill notebook backpack certainly looks cheap. But does it necessarily mean it is of lower quality? Well, it depends on what you define as ‘quality’. Let’s cross-examine the Rosewill backpack and find out the answer. 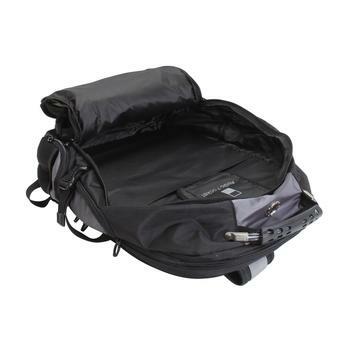 The back of the Rosewill laptop backpack has a padded compartment that is tailored specifically to fitting a 15.6 inch laptop. This compartment is made for a snug fit and will keep the laptop from being jostled around too much while it is traveling. There are two other compartments that are ideal for books, papers and necessary laptop accessories. These compartments make up the bulk of the backpack. There are front pockets that are made for extras and smaller accessories that are easy to reach while you are on the go. The shoulder straps of the backpack are made out of nonslip material and are tailored to remain comfortable no matter how long the backpack is being worn or how heavy it is. People who submitted backpack reviews on the Rosewill 15.6 laptop backpack were most pleased with its ability to carry a heavy load. 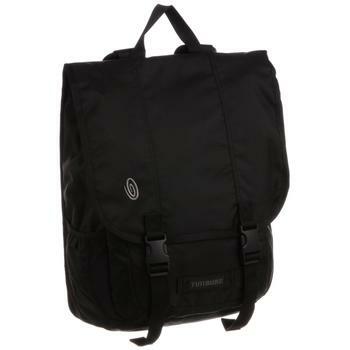 Even though this may not be the best backpack for college students, it is still quite popular among college guys especially those who doesn’t want to carry the same Targus Drifter II backpack that almost every college kid is carrying. 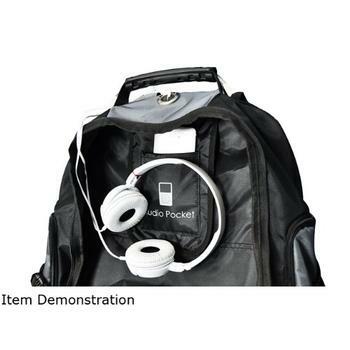 Students reported that the backpack was able to hold their computer, books, papers and supplies. While the backpack was extremely heavy, it did not feel like a terrible burden when they put it on their backs. They were also pleased with the extremely thick and protective padding that the backpack offered for their backpack. 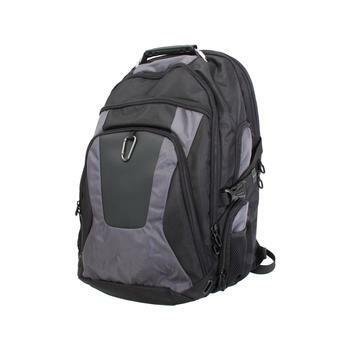 Overall, students as well as professionals were happy with all of the features that the Rosewill 15.6 inch laptop backpack had to offer for in terms of size, weight and ability to carry heavy loads for long periods of time. While this laptop pack does have many upsides, it does have a few downsides. Of all the issues that have been raised in all the backpack reviews that talked about this model, one issue that caught my attention is the size of the backpack for those with bigger body frame. Some guys mentioned that the backpack was hard to fit his big frame. People who were overweight or above average height had a hard time remaining comfortable while the backpack was on their back. They were not able to wear it easily and reported that the backpack felt like more of a child’s backpack instead of a laptop carrier on their back. When you are deciding on the best laptop backpack for your needs, you should make sure you know what you want before you even begin shopping. Make sure that you read as many reviews on the backpack before you buy and always try to read the negative reviews to get an idea of what the downsides of the backpack are. 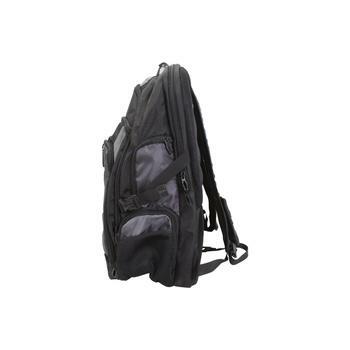 The most important aspect to choosing a good laptop backpack for your needs is to choose one that is comfortable for you and will suit everything you need without being influenced by the opinions of others. After all said, the most appealing part of this backpack has to be its low price tag. If you think this is the perfect backpack for your budget, the good news is it is available on Amazon. If you want to check out its details, here is the link.